A student engineering team from Poland's Warsaw University of Technology is using 3D-printed plastic parts in its Mars rover designs. The rovers are entered in an annual Mars rover student challenge, and the parts are built on a desktop 3D printer. 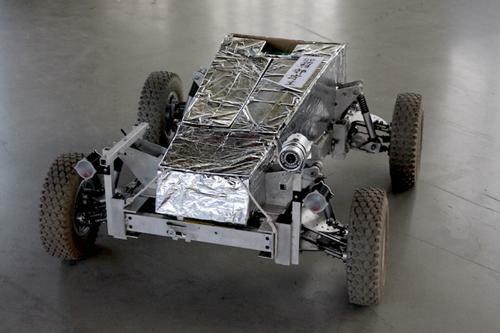 The Warsaw University of Technology's Students' Space Association designed and built its Ares 2 Mars rover using 3D printing, which helped reduce its weight for entry in the Mars Society's 2015 University Rover Challenge contest. The students' rover placed 8th. The University of Technology's Students' Space Association (SKA) used the M200 desktop 3D printer from Polish company Zortrax to design and build several parts for its Ares 2 rover. These included housings for ultrasonic sensors, wheels, and motor driver cases that protect drivers from dust, shock, and environmental stressors, according to a blog on the company's website. The Ares 2 is a four-wheeled space rover, which the student team entered in last year'sUniversity Rover Challenge, a contest held in the southern Utah desert by the Mars Society. The contest aims at challenging students to design and build the next generation of Mars rovers. 3D printing several of the Ares 2 rover's components helped reduce its overall weight, which had to be less than 50 kg. 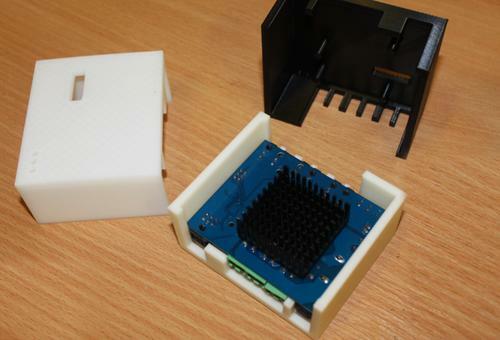 The 3D-printed casing for the rover's ultrasonic sensors, shown here, is both durable and light. The sensors help identify objects in front of the rover. The 3D-printed components in Ares 2 were made of Zortrax's Z-ULTRAT materials, reducing the rover's total weight, which had to be less than 50 kg as a requirement for contest entries. For instance, the weight of the rover's gripper was reduced from 33 grams to 10 grams. The Ares 2 placed 8th in the competition against 43 other teams. For updating a previous Mars vehicle design, the Scarab Automatic Martian Research Vehicle, the SKA students 3D printed a new battery, lights, and an entire control system using Zortrax 3D printers, according to a press release Design News received from Zortrax. They also 3D printed a completely new durable upper housing for the vehicle, designed by the Faculty of Design at Warsaw's Academy of Fine Arts. That housing will consist of components printed with the M200. For updating the previous design of this Mars vehicle, the Scarab Automatic Martian Research Vehicle, the students have 3D printed a new battery, lights, and an entire control system using Zortrax 3D printers, as well as a completely new durable upper housing. Using 3D printing, the team could easily create components with complex geometrical shapes such as the Scarab's new housing, said Tomasz Mis, the SKA's vice president. "We can effectively reduce the weight of each component through the precise manipulation of each part's cross-sectional filling," he said. "This is a very important factor in competitions and means of transport, as they often require low weights of such vehicles. For this very reason, we specifically 3D printed the wheels for the Ares 2 rover, a move which got a lot of positive feedback from experts. 3D printing also allows the students to produce replacement parts rapidly and relatively cheaply."